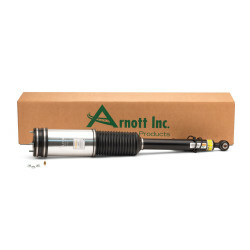 Arnott part AS-2606 is a new, not remanufactured, aftermarket rear strut assembly for the Mercedes Benz 1999 – 2006 W220 S-Class Sedan with AIRMATIC. 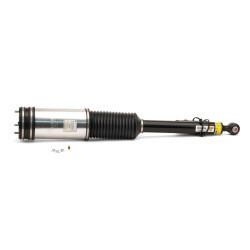 This replacement strut, which was designed and assembled in the USA, features a custom valved mono-tube gas pressure shock absorber assembled with a durable new ContiTech rubber air spring bladder. 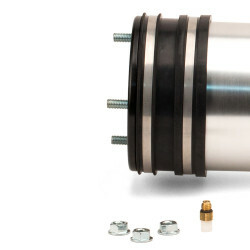 The strut is partly protected by an aluminum can and dust baffle to keep out debris and assembled with heavy duty crimping rings, seals, O-Rings and bump stop. 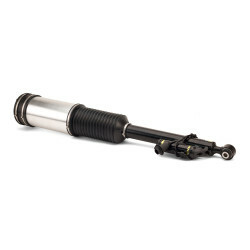 This fully assembled air strut plugs directly into the vehicle’s connector valve to bypass electronic damping and eliminates any fault codes. 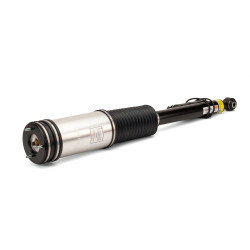 There is no core deposit required on this Arnott designed new strut. Arnott is so confident that you will be satisfied with the ride and quality of this new strut that it is backed by 30-day return policy and a Limited Two-Year Warranty. This is not for Mercedes vehicles with ABC. MERCEDES-BENZ S-CLASS 2003-2006 (W220 w/ AIRMATIC, w/ 4MATIC).